Dry skin can be more sensitive to many products. So, choosing the right vitamin c product can be a little harder. Our number one pick for dry skin? Vivier Kine C – This product is a mix of Viviers’ amazing vitamin c serum with an extra dose of peptides in a slightly more humectant base for increased hydration. It is a sure-fire way to perk up dry dehydrated skin. DermaQuest C-Infusion Mask – This masque utilizes vitamin C and potent fruit enzymes to refresh dry tired skin and keep it fresh. If you have rosacea, or reactive skin, the anti-inflammatory properties of vitamin C can be incredibly beneficial. Finding a product that you don’t react to can be a challenge. Our go-to starter for sensitive and reactive skin? Vivier Serum 5 – With a lower dose of the L-Ascorbic Acid and some soothing peptides, it is extremely well tolerated even by the most reactive skin types. It even works well on the delicate eye area. Dermaquest C-Infusion Serum AND C-Infusion Eye – This creamy, hydrating serum can double as a light weight day cream for many people. It contains enough vitamin c to slow down collagen degradation and the formation of wrinkles, while the active peptides help reduce existing fine lines. Vivier Serum 20 – This serum contains a high dose of L-Ascorbic acid, which is a mild AHA. 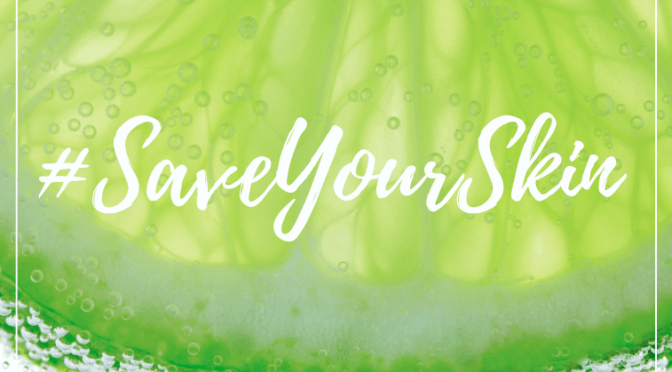 The vitamin c will help prevent acne scars from forming, as well as promote healing of breakouts once they have run their course. Vivier C+E Peptide Serum – This serum contains an extra anti-oxidant in the form of Vitamin E, which will aid greatly in the repair of deeper wrinkles. Vitamin E is an amazing addition for skin that is resistant to change with just vitamin c on its own. If you are currently pregnant or breastfeeding, Vitamin C makes a very safe option to slow down the progression of Melasma (also called Pregnancy Mask). It is completely safe to use during pregnancy and or while breastfeeding. It won’t clear it up completely, but Vitamin C’s natural brightening and anti-inflammatory properties, make it a perfect ingredient for this challenging condition. Our first pick during pregnancy is: Dermaquest C-Infusion Cleanser, C-Infusion Serum and if needed C-Infusion Eye Cream. Melasma unfortunately is not curable. For many women, it can be a real post baby struggle to clear it up. However, once you are done with your pregnancy (and breastfeeding) journey, we can incorporate a few other ingredients to help increase the positive effects of the Vitamin C.
Our go to for melasma after pregnancy? Vivier Seequin IDS 4 – This serum utilizes a 4% Hydroquinone in addition to the L-Ascorbic acid to maximise the reduction in melasma and keep it at bay. By combining both of these active ingredients we are able to see greater clearing in melasma than with each ingredient on its own. If you would like further analysis of your skin to determine the best course of action for you, give us a call at 403-287-1477. We would love to see you for a consultation and help you on the path to glowing, healthy skin! Last week we had a consultation with an awesome guy. He was wanting to shrink the large pores on his nose and get rid of the redness in the midsection of his face. We discussed his treatment options, including some of our treatment packages. He then asked “Do I need a package; can’t I just do the treatments?”. My response was honest. Of course, he could just do the treatments. But I thought that I would share with you, what I shared with him. The reasons why the treatment packages we offer at SkinScience are often the better choice. All of our treatment packages (including this month’s focus the ‘Bright and Glow’ package) are very specially designed to give maximum benefit and achieve maximum results. We love our analogies at SkinScience, so here is an easy one to better illustrate. Think about renovating your home. Would you use one tool to do all of your renovations? How about one paintbrush to paint an entire room? No, you would use multiple tools to get the job done. For painting you would have rollers for the large walls, small brushes for the edging, and another set for the trim work. Our skin care treatment packages are designed to do the same for your skin. 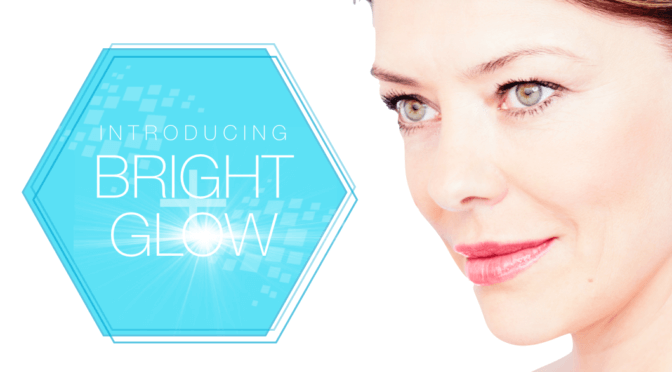 Last week we introduced you to our very popular, very effective “Bright and Glow Package”. There are three of each of three separate treatments included in that package, and the final result is greater than the sum of its parts. The ‘Bright and Glow’ package will shrink your large pores, first by exfoliating with the peel, stimulating collagen during the dermaplaning, and then stimulating deeper collagen with the IPL. The dermaplaning and peel will help lighten brown spots before the IPL knocks them out. The dermaplaning and peels will make it easier for the IPL to target visible capillaries and eliminate them. Do you see the crossover between all three of the treatments? This means that areas of concern are targeted from multiple different sides, reducing the chances that a brown spot or large pore will escape and not respond. Lastly there are the real-life components to treatment packages. Realities like: It allows us to offer clients a bit of a price break, so that the treatments we love are just a little bit more affordable for you. Realities like: we found that having a package helps individuals follow through with completing the required number of treatments in the right time frame to get the best possible results. This means, we have happier clients, with brighter glowing faces. To book a consultation and learn which of our treatment packages can help you have the skin you’ve always wanted call the clinic today and get started on your path to amazing skin! 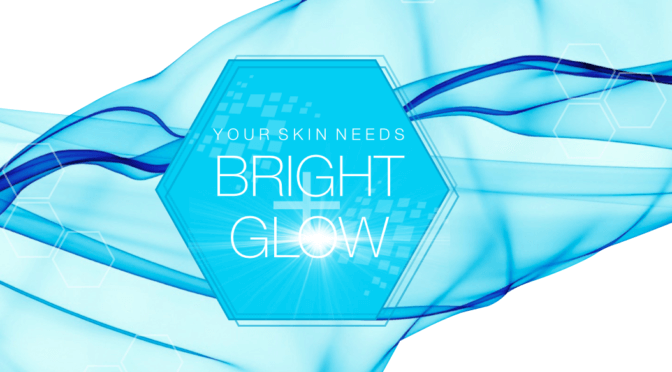 Introducing “Bright + Glow” ~ SkinScience’s New Treatment Package! A complexion that is smooth and bright, who doesn’t want that? So many of us desire to be able to wear less makeup, and still look naturally radiant, to have that natural glow. Now, at SkinScience we have a way all of that can be yours! 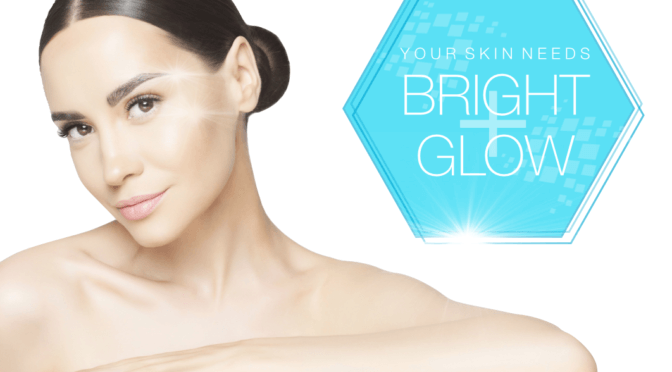 Introducing our newest package of in-clinic treatments, the ‘Bright + Glow’ Skin Package. Marie and I will both tell you that combining different treatments will maximize results. The ‘Bright + Glow’ treatment package allows us to target specific concerns from different angles, optimizing the final result. This package is a total of 6 treatments, with each treatment being performed once every two weeks. Alternating between Dermaplaning combined with our custom designed Radiance Peel, and our IPL laser technology (photo rejuvenation). This package was designed using data collected over years that shows having a mid level exfoliating treatment (like a peel or dermaplaning) prior to an IPL treatment increases the efficacy of the IPL by up to 30%! That’s huge! This package is designed for anyone that has sun damage, brown spots, broken capillaries or redness that dulls his or her glow. It is designed to create skin that is smooth to the touch, more even in tone and texture and bring back the glow that is so often dimmed with the return of fall. Bonus: many people notice an improvement in fine lines and wrinkles too! Priced at just $999 this saves you over 40%. Money in your pocket and smoother, brighter, happier skin! Call today to book your appointment! You won’t be sorry!